Parks in certain parts of the city can get lonely during night hours and cause safety concerns for those visiting or passing through the park. This raises a critical concern for city officials, who must balance the safety of these individuals with the costs associated with keeping the lights fully on all night. 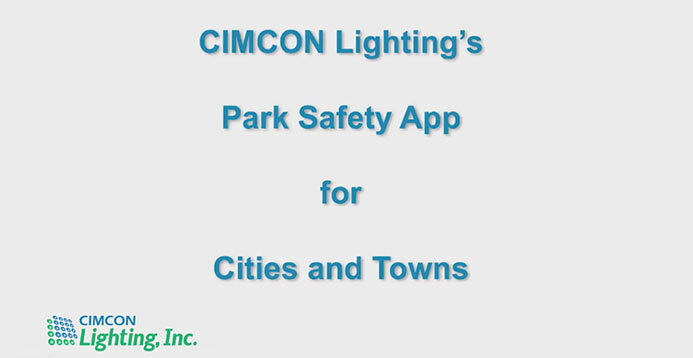 CIMCON's "Park Safety" Mobile Application helps cities provide widespread security at a low cost by dimming lights during hours with few visitors and allowing visitors who are feeling unsafe to contact park security officials at the touch of a button from their smartphone device. Works on CIMCON's iSLC-3100-7P, iSLC-3100-480-7P and iSLC-3300 with a separate "Park Security" Application software license. Designed for the iPhone 5S/5C, 6/6Plus, 7/7Plus, 8/8Plus, X and Android 4.4+. Lights can be controlled by the app up to 100-meters away. Alerts are sent via SMS or Push Notifications to Park security. A wide variety of application activity reports are available. Increased park safety at the touch of a button. Reduces the need to hire additional park security staff.